For over 30 years Attorney Mavrides has worked closely with each of her clients to determine their best course of action. Individual attention, with an attorney-client team approach, ensures each client receives information and legal guidance to make the best choice for their individual situation. There are two kinds of divorce in Massachusetts: Fault and No Fault. If you file a complaint for divorce on a "fault" ground, you must factually prove the ground as the reason for the divorce. Filing under a "no-fault" divorce carries no requirement for proving a reason for the breakdown of the marriage. Testimony is limited to whether or not there is an irretrievable breakdown of marriage without any hope of reconciliation. gambling that negatively impacts on family finances. 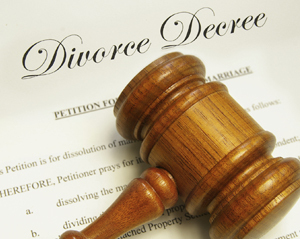 Under either category of fault or no-fault, a divorce can be contested or uncontested. The fastest way to finalize a divorce is through an uncontested "no-fault" divorce, which is defined under Massachusetts General Law ch. 208 section 1A. This type of divorce could be finalized in 120 days from the date the parties appear in court to present their agreement to a judge. However, there must be a complete and full written agreement by husband and wife regarding all divorce issues in order for he court to process the divorce as uncontested. Throughout her over 30 years as a divorce lawyer, Attorney Mavrides has called upon insightful legal knowledge and persuasive skills of negotiation to draft hundreds of Separation Agreements. Yet, there are many cases that cannot be settled without a trial, such as custody disputes and other high conflict divorce issues and complex asset cases. Attorney Mavrides has extensive litigation experience and has successfully tried many cases on behalf of her clients.